I just had the easiest buying experience ever...I've ordered a ton of parts elsewhere and LancerShop was by far, the best. I went to their live chat, checked a part status (Instock), then did a quick and painless transaction over the website. This Ryan guy assisted me in the chat process and was very helpful. You guys Kick A**!!! 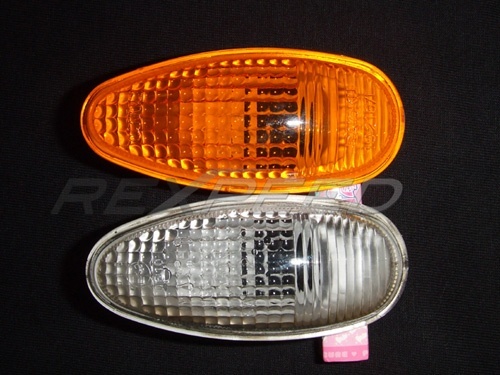 Genuine Mitsubishi Amber turn signals. Direct swap from your factory turn signals. 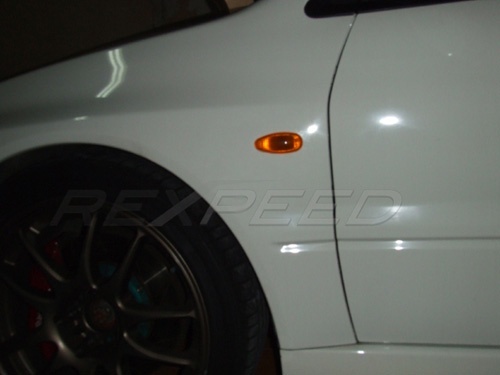 OEM fitment, shape and look except in amber color. Sold in pairs and includes light bulbs. Easy install they pop right off. JDM amber front markers are a great upgrade to get rid of the stock altezza style corner markers.